Welling, with a population of 41,000, is within the London Borough of Bexley and is very close to Bexleyheath. Welling is well stocked shopping town with a diverse range of shops from a local bakery to Tesco’s that opened in 2010 and Morrisions which opened in 2009. Established in 1914, Lanes School of Driving has been providing driving lessons for over a hundred years. Over this time, Lanes has flourished to become one of the largest independent driving schools in the UK. Lanes is renowned in the local community for its commitment to quality instruction, honed through years of experience. Lanes offers individually structured driving courses to suit each unique student. Lanes allows students to make bookings for lessons as their schedules allow. Students are not rushed and are permitted to learn at their own speed. Unlike many driving schools, Lanes recognises the importance of one-to-one tuition and students are provided the opportunity to learn without the distraction of other students in the car. Lanes boasts a range of state of the art cars with the latest facilities in which our students can learn. Students can be collected from their home address at their convenience. 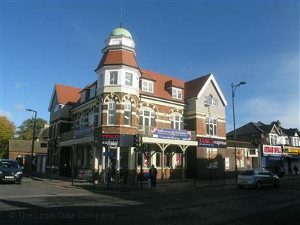 Lanes have been providing driving lessons in Welling, DA16 for many years. Please call us today on 020 8166 5678 or click here to send us an email via the contact page. Lanes boasts a team of expert qualified driving instructors. Each of our instructors are DSA registered DSA Approved Driving instructors. In fact the majority of our instructors began their training with us. At Lanes each student is assigned to their individual instructor who will be provided to them for all of their lessons. We believe that students should be given instructors who are familiar with their abilities as this allows for faster progress. Lanes have a team of driving instructors in Welling, DA16. Please call us today on 020 8166 5678 or click here to send us an email via the contact page. Taking driving lessons can be stressful and intimidating. We completely understand when some women are not comfortable with having a male driving instructor. This is why Lanes provides female driving instructors on request. Our female driving instructors are very kind and considerate. They will not pressure their students. Our female students enjoy learning with their female instructors as they do not feel they are being harshly judged. Lanes have a selection of female driving instructors in Welling, DA16. Please call us today on 020 8166 5678 or click here to send us an email via the contact page. It is common for students to have a preference for automatic cars over manual. Some say manual cars provide more control. Despite this, automatic cars can be easier to handle, and can be a lot less stressful. Beginners often find it hard not to stall their car. The wonderful thing with automatic cars is that they are designed not to stall. Additionally, the learning curve on automatic cars is gentle and students can learn a lot faster. For students who have problems changing gear or using the clutch automatic cars are a good option. Lanes have a selection of automatic driving instructors in Welling, DA16. Please call us today on 020 8166 5678 or click here to send us an email via the contact page.